NO LODGING HERE. I AM BUSY. Our impromptu guide, a local fisherman who had brought us here, sensing our hesitation, winked and nudged us forward. After endless knocking and an eternity in waiting, a middle-aged man – glassy-eyed, clad in black and wearing a scraggly white beard – emerged from behind the doors. Taking a moment to quiz the fisherman in the local tongue, the man who would later identify himself as “Grigor” turned to us, smiled warmly, and made a waving motion with his hand. As we crossed the threshold into his miniature enclave, what at first seemed like a tiny domicile soon took on the appearance of a compact palace. Several large rooms, each containing a wealth of artwork and crafts – works in progress – led into a large open-air courtyard with a rustic table containing little clay sculptures. Several cats lay sprawled out, napping in the afternoon heat. “Please try some of this,” Grigor said, as he shuffled out of the kitchen, carrying a few clay mugs. “I make it right here using plums that I grow myself. It’s very tasty.” The drink, whose name was unpronounceable, had the taste and consistency of fire. It was easy to see why Grigor would want to be left alone in a place like this. What was harder to understand was why the man would have any need for the sign on his door. It was difficult to imagine many people beating a path to this innocuous rock in the middle of an unknown lake. If the venerable old monk wanted to escape the world and everyone in it, he couldn’t have chosen a more ideal spot. Grigor’s hideaway is located on Lake Skadar, a little-known wilderness wetland situated in the Republic of Montenegro. Obscured by decades of communist isolation and the Balkan wars of the 1990s, the lake has remained in a centuries-old time warp. Leafy rural scenes, rustic villages and vast stretches of wetland today characterize this forgotten corner of the former Yugoslavia. Known locally as Skadarsko Jezero, the lake’s anonymity and placid physical disposition belie its importance as one of Europe’s chief ecological landmarks. Straddling the border of Montenegro and Albania, and divided more or less equally between both countries, Lake Skadar is the largest body of fresh water in the Balkans. It is also Europe’s largest bird preserve, being home to nearly 240 species, many of which are endangered. Dotted with small settlements, the lake is a veritable ecological wonderland existing in a delicate balance between humans and nature. Here, wizened, grey-haired fishermen glide across the pelican-populated waters on wooden punts fishing for bleak, carp and eel. 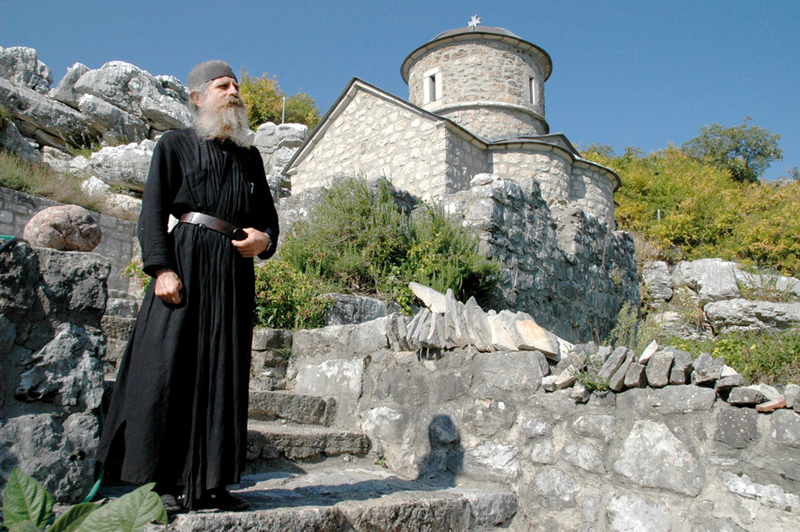 On a number of islets that dot the lake’s southern shore, a handful of Serbian Orthodox monks – men like Grigor – keep solitary hermitage on tiny one-man-island monasteries. Beyond ecological distinctions, it is the lake’s unusual beauty that is its main draw. Few wetlands anywhere match Lake Skadar’s breathtakingly anomalous appearance. Ringed in by forested mountains and dotted with verdant cone-shaped islands, the lake resembles a waterlogged moonscape bursting with the painfully vibrant shades of blue and green. Its coastline, jagged and swampy, is carpeted with water lilies and other aquatic plants that fill the lake’s numerous bays, beaches and coves. Although hard to see, the lake’s environment is currently under threat. This is partly due to the sudden increase in visitors now venturing inland from the nearby Montenegrin Riviera – an area that has recently given way to unbridled tourism and large-scale development. 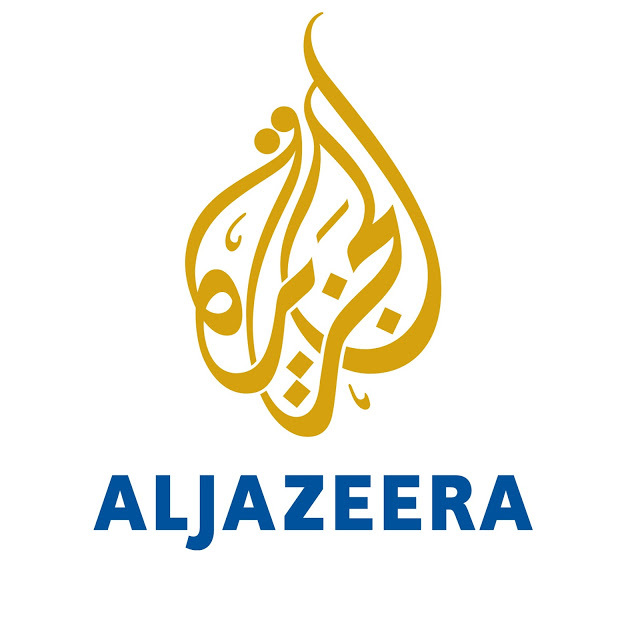 Foreigners en route to some of Montenegro’s larger attractions in the north of the country have begun to appear at Virpazar – a picturesque village on the western edge of the lake – opting to stay with locals who rent out rooms in their homes at rock bottom prices. Virpazar, along with a few other towns, has begun to mobilize in anticipation of the tourist boom. Already on the lake’s north shore, a new hotel resort has sprung up to cater to the influx. For outsiders quickly passing through the region, it might be difficult to see that anything might be amiss. 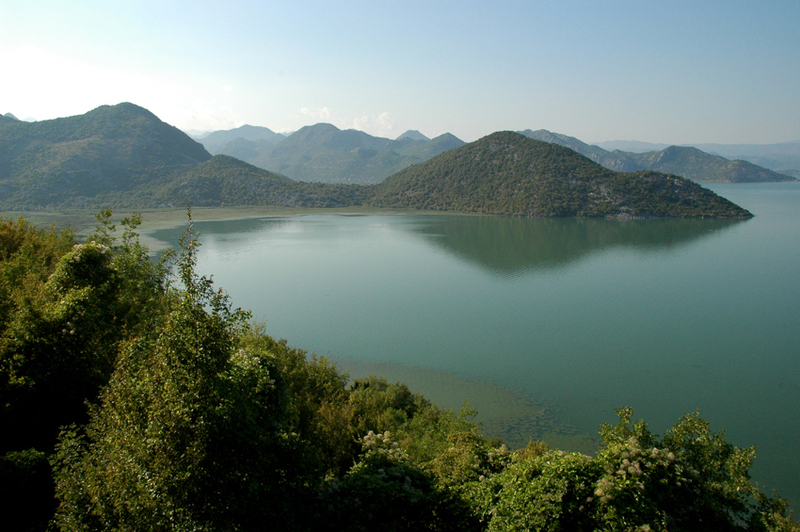 But longtime residents of the lake who are naturally sensitized to the area’s ecological delicacy say that Lake Skadar was in difficulty long before the recent arrival of tourists. 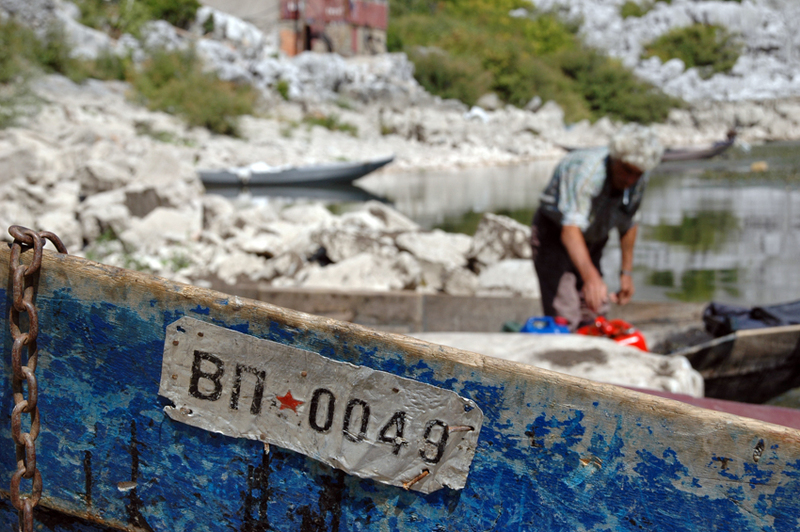 During the Balkan Wars of the 1990s and the years of international sanctions that followed it, the lake became a kind of business and residential dumping ground. Locals say there is still little regulation to protect the lake. 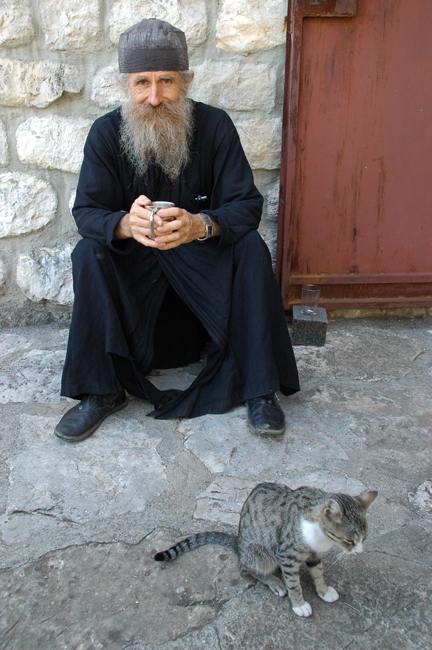 Grigor led us from one room to another, showing us the various projects to which he has devoted his life for the last fifteen years: the cultivation of vegetables and plants, the fermentation of spirits, and the creation of iconography, Cyrillic calligraphy, and sculpture. As we paid our adieus to Grigor, and stepped onto the rowboat which would ferry us back to the mainland, the monk perched himself on the monastery’s steps and turned to face the lake’s horizon. There he remained poignantly transfixed for minutes, as though he were imbibing the last breaths of an epoch whose days were now numbered. This article appeared in the Travel section of the March 28, 2009 issue of The National newspaper of Abu Dhabi.